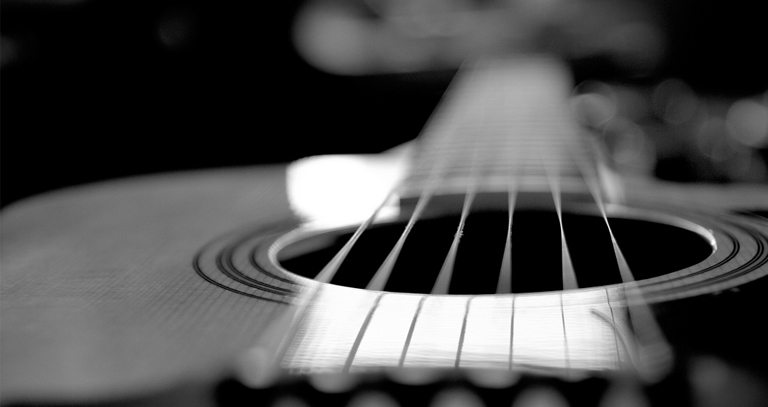 Acoustic guitars are fairly simple to record as just a supporting instrument in a band, but can be very difficult to get just right as a solo instrument. If you just want a ‘nice’ guitar sound to beef up an existing mix, then a guitar with a naturally pleasant tone a decent condenser mic will probably get you there. 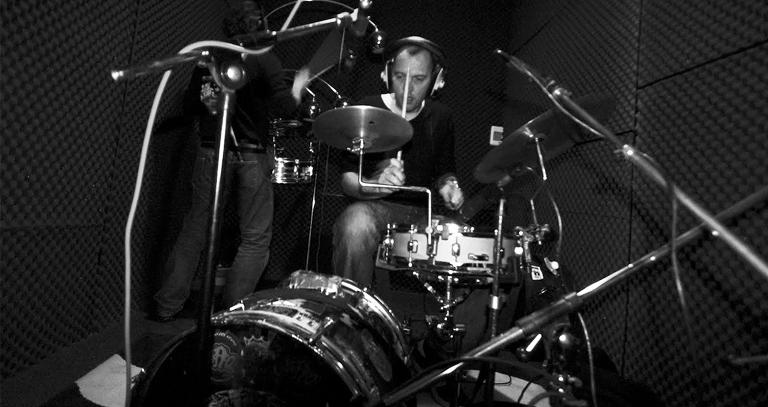 However, if you are going for a particular sound, style or tone for a solo or lead part then it can get tricky. Each different guitar has its own distinct tone, and on top of that the subtle differences between microphones, and effect of changing their position are even more noticeable than on most other instruments. This is down to how the guitar actually transmits sound into the air, which isn’t very linear or consistent, and so the effect of moving a microphone a few inches in one direction can be surprisingly large, which is why acoustics can be difficult to mic up. 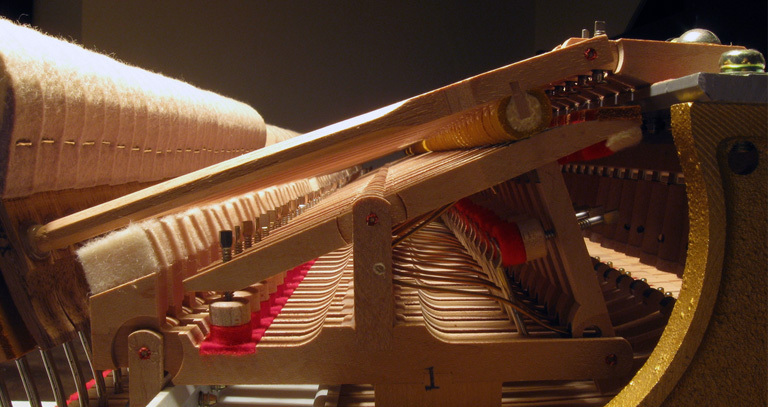 Most of the sound you hear from an acoustic is not directly from the strings, but from the front panel of the body or ‘soundboard’, which the strings are attached to at the bridge. 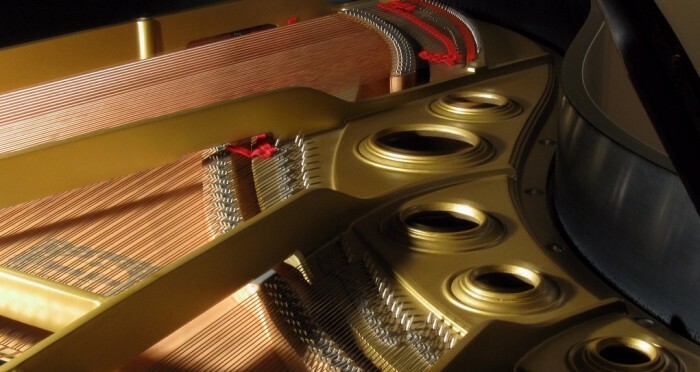 The strings don’t have very much surface area, so they don’t actually transfer much vibration into the air. However the front panel does have a very large surface area and the whole panel resonates with the strings, in just the same way as the soundboard in a piano, and this is where you hear most of the sound from. The soundboard itself doesn’t resonate evenly across its surface at all, for example the large flat surface towards the tail of the guitar is fairly free to vibrate and will naturally resonate at a much lower frequency than the areas closer to the neck. 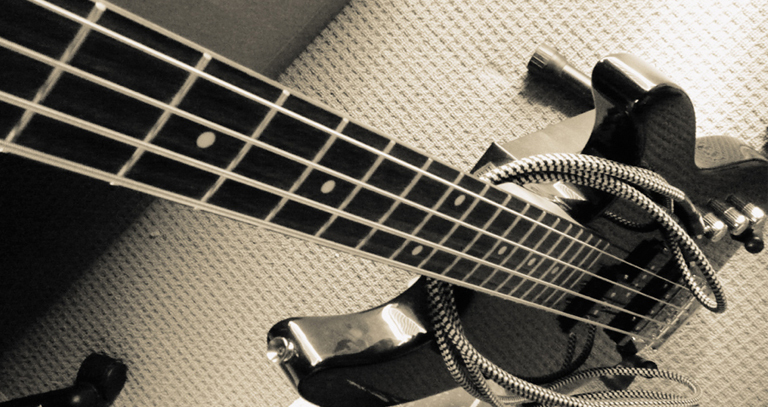 Other sounds you should be listening for will include; some amount of string noise which will be very bright and crisp, the sound of the plectrum hitting the strings (different thicknesses of plectrum will sound different), and the sound of fingers sliding along the fingerboard between chords. Depending on the style you are aiming for, you will want different amounts of these sounds balanced together to build up a complete, detailed and natural sounding guitar tone. Also keep an ear out for the strings buzzing against the frets, which should be minimal as it can otherwise be very distracting. Pickups are perfect for live performances where you need a PA system because they don’t pick up much spill, but they usually sound much too close and lack the depth of tone that you look for when recording. They are usually piezo pickups attached to the body of the guitar, so they don’t cover enough of the soundboard to give a nice balanced tone and mostly sound dull and a bit lack-lustre. 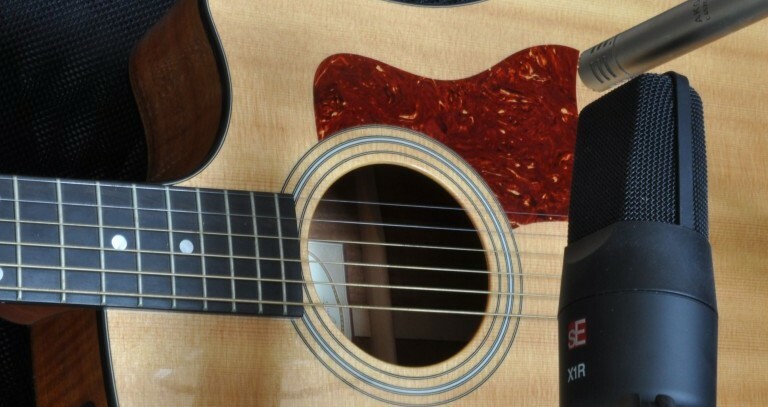 Acoustic guitars don’t put out very high sound pressure levels so dynamic mics won’t give you any compression and probably won’t give you enough top end to sound clear and natural. 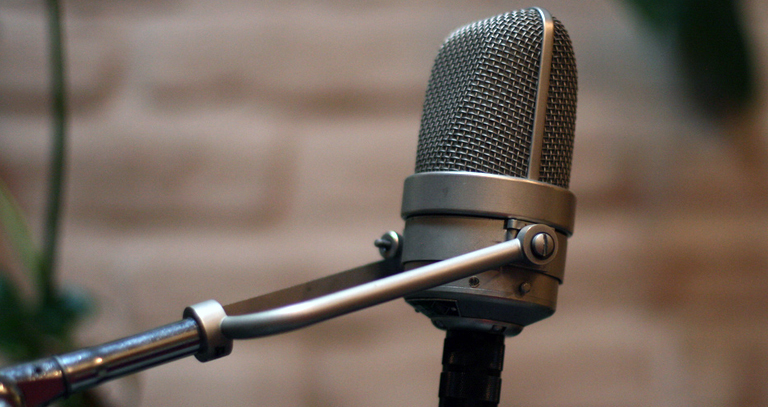 Condenser mics and ribbons are where you should be looking, as they will have a much more flattering top range. When it comes to choosing a specific mic, then you really want something as high quality as you can get because you really will hear the difference. Some engineers go straight to small diaphragm condensers like a KM84 or an AKG 451, because of their high frequency response which will give you a crisp transient response and a really clean top end on a nice sounding guitar. Large diaphragm condensers won’t quite give you that crystal clear high end, but something like an AKG 414 or U87 will get a warmer and more full-bodied tone out of the guitar, which can be really useful if it is a solo instrument. Ribbon mics can work very nicely on acoustics, bringing a little more colouration into the tone than a condenser, but treat them just the same as a large diaphragm condenser when it comes to positioning. Combing different types of microphones is very common practise, as for example you can get the clarity and top end of a small diaphragm condenser as well as a little more interest and warmth from a ribbon. Putting mics up too close is a very easy mistake to make, so as a general rule I like to start around eight or nine inches away from the guitar and move in if needed. That way the mic will get a more balanced sound from the whole soundboard, rather it being too close and starting to sound like a built-in pickup. The other thing to be careful of is to try and stay clear of the sound-hole, which will sound very resonant at one particular frequency and not very flattering, and you are also likely to get a lot of pick noise. Beyond that it is really a matter of experimentation; try a few very different positions and then narrow down your search for the perfect spot. Broadly speaking, mic’ing the tail end of the guitar will suit large diaphragm condenser as it will give you a very deep and warm sound, not much string or plectrum noise, and even less finger noise and fret-buzz. To capture a little more brightness from the guitar and a more balanced tone, direct the mic towards the strings and soundhole, at around 45° to the front of the guitar. For a more ‘involved’ sound, mic from where the neck joins the body. This will give you less of the resonance from the main body, and more string and pick noise which to me sounds more natural. To really make the most of the brighter tone here, try a small diaphragm condenser and angle the mic back along the body of the guitar. 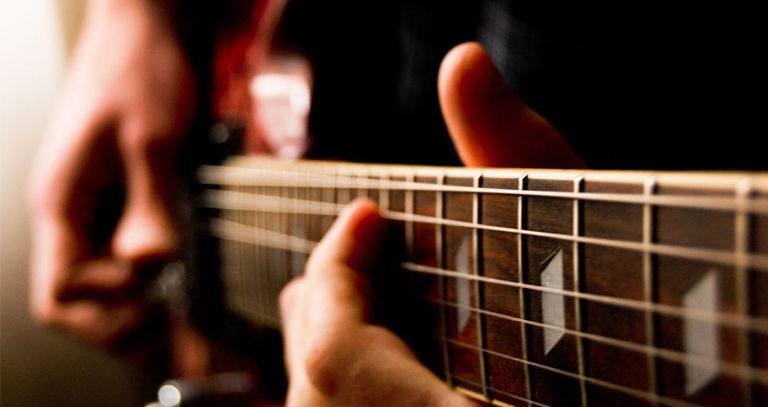 As well as giving you a more even tone, this will also reduce the amount of finger noise and fret buzz from the neck. In some cases you might want to keep the finger noise, so point the mic more directly at the guitar but pull it away just a little to keep as much of the body tone as possible.